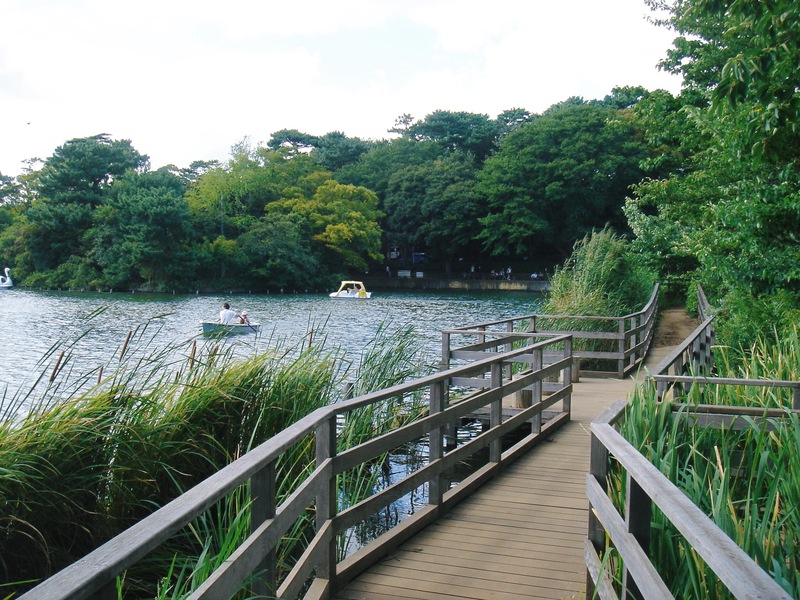 Just a short train ride out of Tokyo’s city center is a lovely green oasis that surrounds a small lake called Senzokuike. 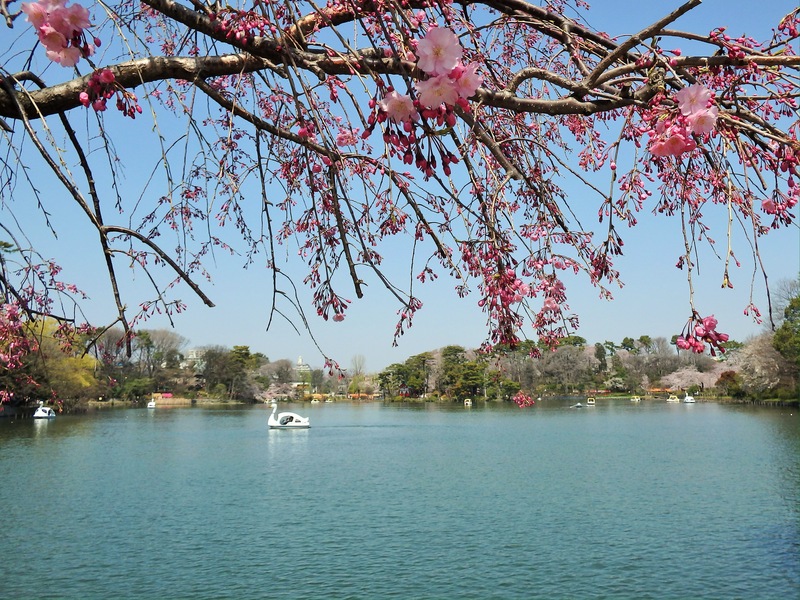 Just across from a train station of the same name, the 77,000 square meter park (41,000 square meters of which are covered in water) is great for boating, bird watching, picnics, cherry blossom viewing, and for taking a leisurely stroll. In 1282, the famous priest Nichiren was traveling to Ibaraki Prefecture. 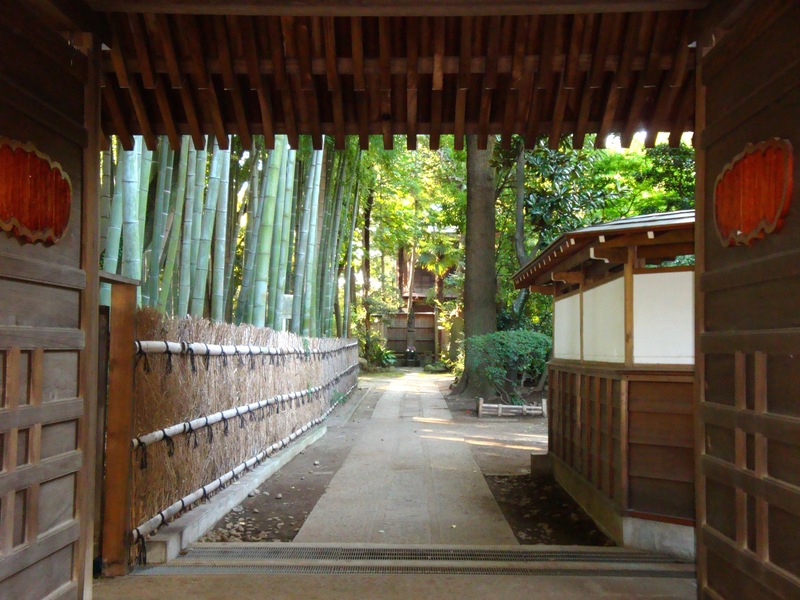 On his way, he visited the feudal lord, Munenaka Ikegami – who was living nearby in what is now the Ikegami Honmonji area. Nichiren hung his ‘kesa’ on a pine tree, rested, and washed his feet in this pond. 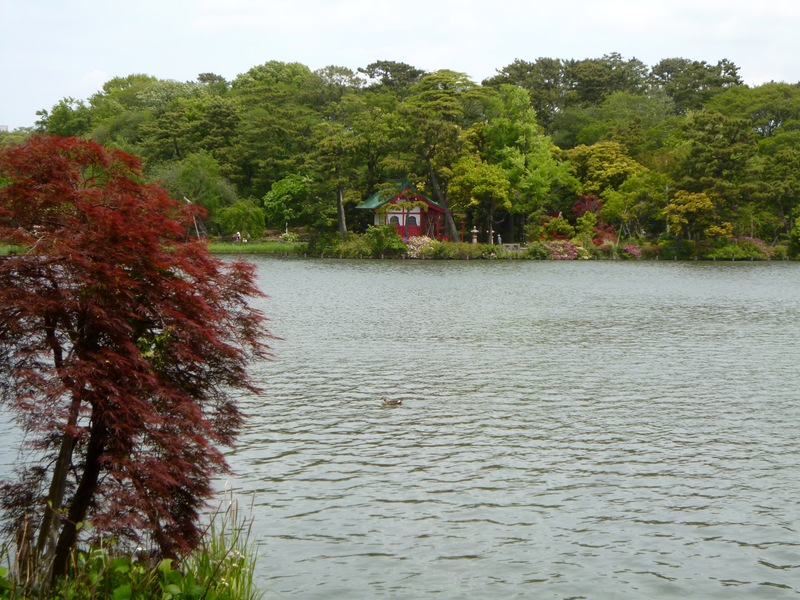 The pond, which is actually a spring-fed lake, was named after this event: 洗足池 Senzoku = foot washing, ike = pond. Senzokuike is also where the Nakahara-kaido and Minami-kaido, popular ‘highways’ for hundreds of years, crossed. In 1830, Ando Hiroshige made a woodblock print of Senzokuike, one of the ‘100 Views of Edo’. Although the walk around the lake is only 1.2 kilometers, there are a number of small but lovely temples and shrines along the shaded pathway. As you exit the station, cross over the Nakahara-kaido, now called Route 2, to the lake. Stop into the lakeside building and check out their free photo gallery. 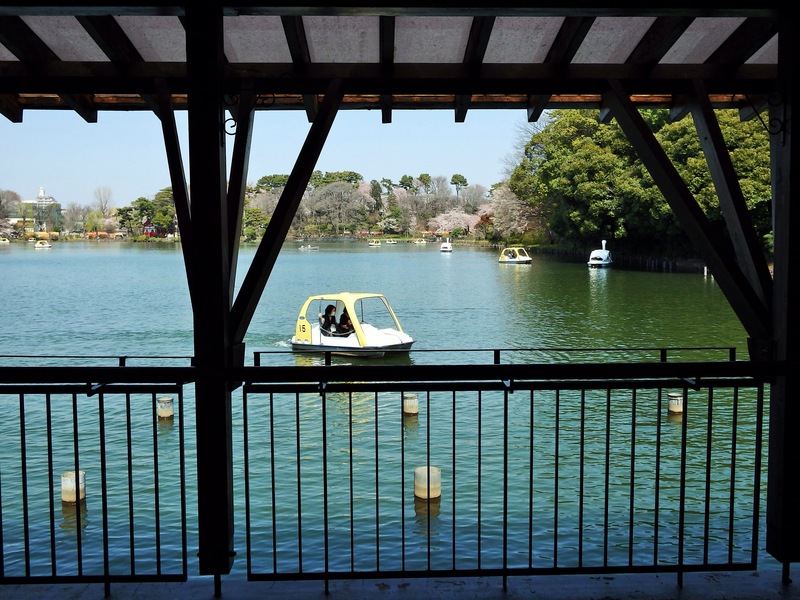 Visitors who would like to go boating can rent row and cycle boats here (400-800 yen for 30 minutes, 600-1300 for 60 minutes). Walk around the lake counter-clockwise. If you are hungry, stop at the Hawaiian cafe, Hukilau, for lunch or an ice cream. Take a left down the next narrow street and pass the city library. Just behind it is Myofukuji, a well kept temple with a small bamboo forest, statues of Nichiren & the Goddess of Mercy, and, in the very back, a lakefront platform. Just past the temple is a clearing containing a small playground that is surrounded by cherry trees. Off to the right are the graves of Kaishu Katsu, a Japanese statesman and naval engineer during the late Tokugawa shogunate and early Meiji period, and his wife. There is also a monument to Takamori Saigo, Japan’s real ‘Last Samurai’. Walk through a section of boardwalks and keep an eye out for turtles, colorful carp, and hidden duck nests. Depending on the season, there may also be lovely flowers blooming. This area is part of an ecological rehabilitation project to reduce water pollution by introducing phosphorus and nitrogen absorbing plants. On the far side of the lake, on a tiny island, is the Itsukushima Shrine. Benzaiten, the only female among Japan’s 7 lucky gods, is enshrined here. 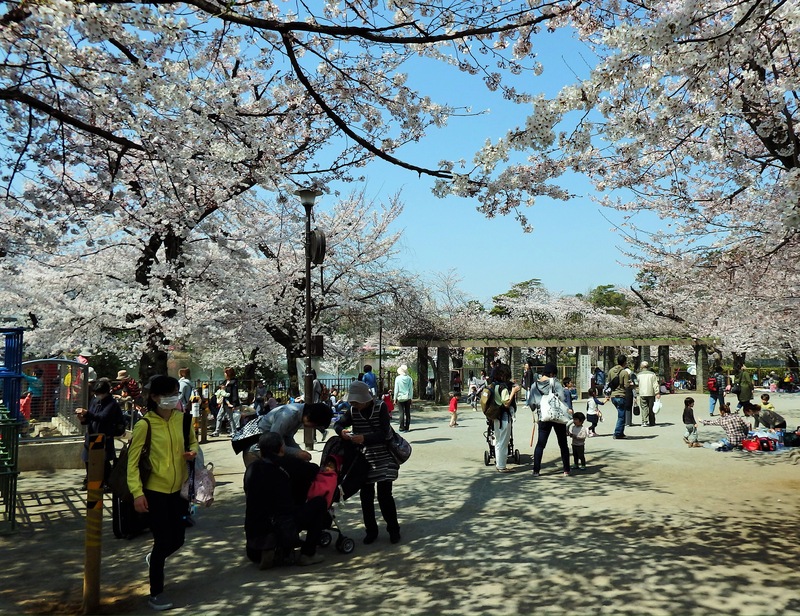 If it is sakura season, walk up the steps behind the shrine. There is a large, flat area at the top of the hill that is filled with beautiful cherry trees. 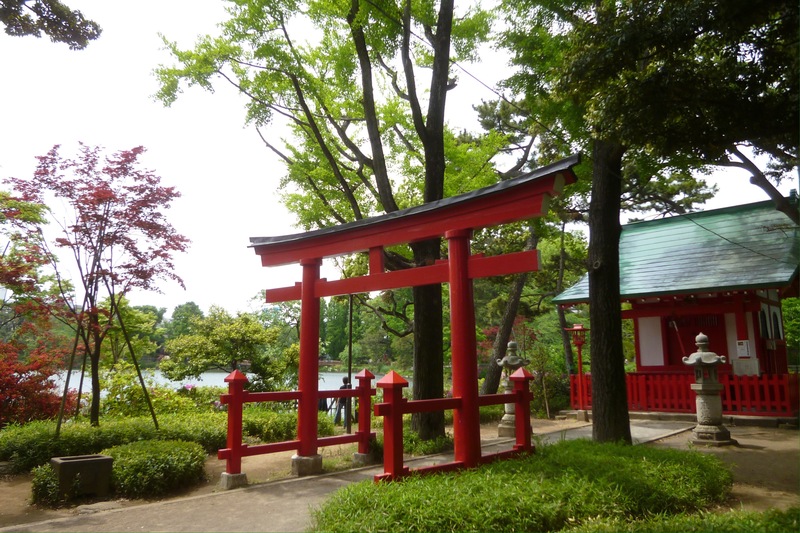 Continue around the lake to the Senzokuike Hachiman Shrine, where feudal lord often stopped to pray for victory in battle. 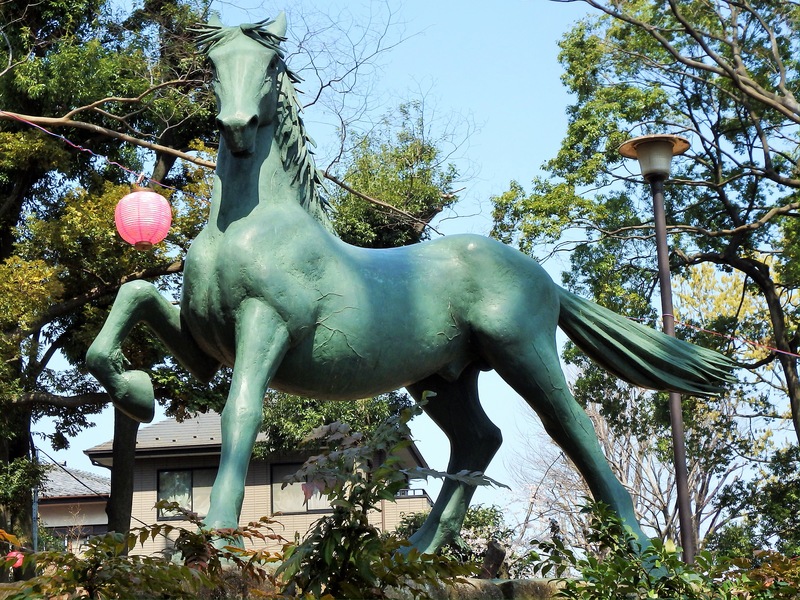 There is also a small shrine dedicated to Inari and a large statue of Yoritomo Minamoto’s famous horse, Ikezuki. 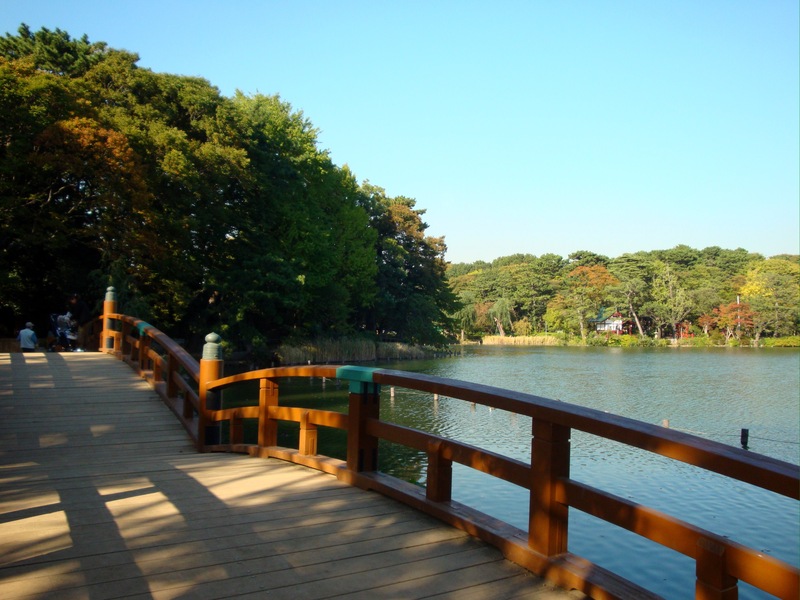 Cross the three arched wooden bridge and make your way back to the front of the lake. If you haven’t eaten yet, cross back over Route 2. There are a few restaurants facing the street, and others are located along the short shotengai (traditional shopping street) beside Senzokuike Station. Two favorites are Osteria Da Pincio and Patisserie Akane. 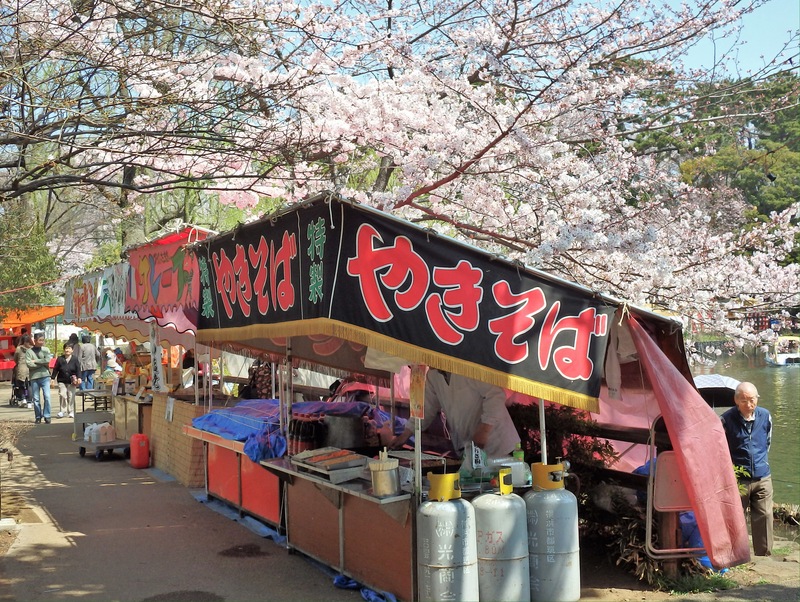 Events: Cherry Blossom Festival in late March/early April, traditional flute performances in May on the wooden bridge, and Senzokuike Hachimangu Shrine’s Annual Festival in early September. 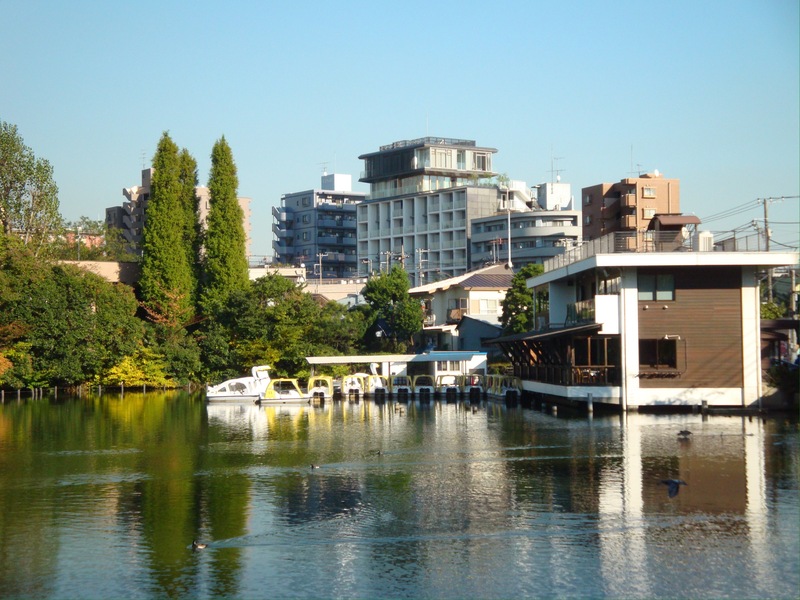 Getting there: Senzokuike is located near the borders of Setagaya, Meguro, and Shinagawa Wards. Senzokuike Station is along the Tokyu Ikegami Line and can be accessed from central Tokyo’s Gotanda Station. The Ota City Tour Guide Group sometimes leads tours of Senzokuike. Contact them for details.